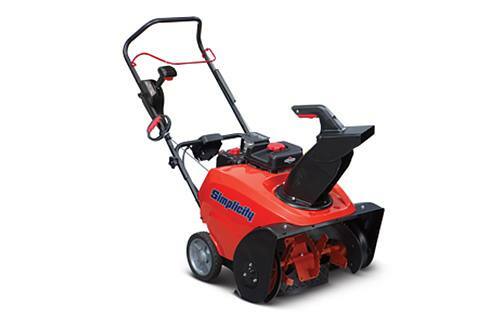 A premium snowblower in a compact package. The SnowShredder™ serrated auger has fourteen individual serrated surfaces providing advanced ice chopping and snow clearing power. The self-propelled auger drive system clears down to the pavement with little operator effort. It's the best of both worlds...dual-stage power, single-stage handling. SnowShredder™ Serrated Auger: 14-high performance serrated surfaces chop and grind down compacted snow and ice chunks, allowing you to do more in less time. On-the-Go Chute Adjustment: On-the-go handle mounted chute control knob allows quick direction adjustments. The large deflector handle lets you easily change the height and the distance snow is thrown.